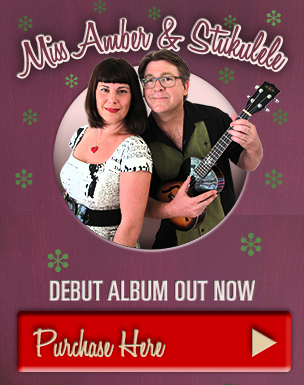 Are you just starting out on the uke… or have you thought about taking up the uke and want to try before you buy? Stu can have you up and playing songs in no time at all regardless of your musical experience. 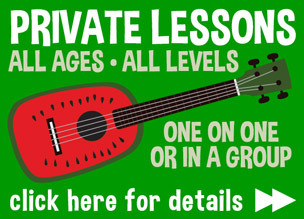 Get a group of friends together and lets start a beginners uke course, 4 – 6 weeks. This is the next level up from beginners. You will need to know at least C , F , G7, Am and be able to play the calypso Strum: d d u u d u and change smoothly. We will explore some more keys strumming and picking techniques, 4 – 6 weeks. Tired of playing the same old chords? Sick of only having one strum pattern? 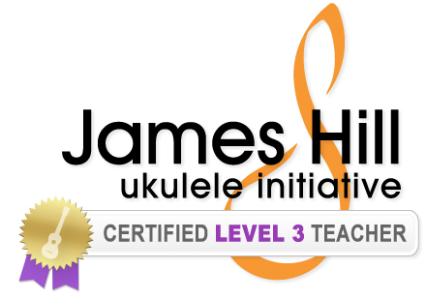 This course will teach you how to hot your playing up with new strums, picking, chord inversions and introduce you to some useful music theory, 4 – 6 weeks. Get in touch with Stu about lessons. BYO Ukelele (and tuner if possible) Spare ukes to try before you buy on request.